Has your family been impacted by the government shutdown? You may qualify for the Free-and-Reduced Meal Program. Contact Stephanie Patterson via email at patterss@woodlandschools.org. Welcome to Woodland Public Schools' Food Services website. You can make payments online, download the free-and-reduced meal application, check your school's menus and nutritional information, and more! Just read on to have all your Food Services questions answered. If you need additional assistance, contact Stephanie Patterson via email at patterss@woodlandschools.org. 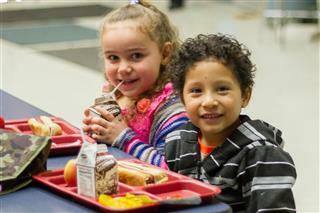 To make an online payment for the district's meal program, click here to visit InTouch, our online payment processor. Negative Balance Process in English or Negative Balance Process in Spanish. To learn more about the program, you can download the National Letter to Households by clicking on these links: National Letter in English or National Letter in Spanish. 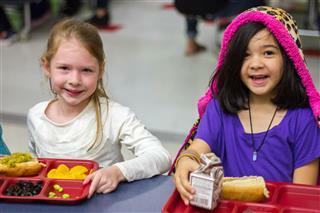 Click here to access nutritional information for school meals, now available online. Want to become a lunch buddy? 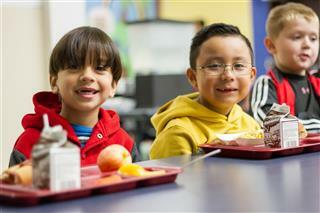 For just 30-40 minutes a week, you can make a difference in a student's life by being their lunch buddy. You can learn more about the program and find out how you can be a part of the fun by clicking this link.